Concordia University has named Dr. James Pingel II the new dean of its School of Education. Pingel, who currently serves as director of graduate education and associate professor of secondary education at Concordia, will step into the role on July 1. He succeeds Dr. Gary Petersen, who has acted as interim dean since January 2018 when former longtime dean Dr. Michael Uden accepted a new role of vice provost of student enrollment and engagement for the university. Pingel began his time at Concordia in 2007 as an adjunct instructor, and became a fulltime faculty member in January 2014. Prior to his time at Concordia, he held positions as a Lutheran high school administrator for 15 years, first at Mayer Lutheran High School in Minnesota and later at Sheboygan Area Lutheran High School. Pingel is a proud product of a Concordia University Wisconsin education. He earned his undergraduate degree from Concordia in 1992 and one of his two master’s degrees from the university is 2001. Amid declining enrollment in teacher-preparation programs nationwide and continual changes in the education landscape, Pingel says he will lead by being “nimble” and “prepared to walk through doors of new opportunities.” He’ll look to work with his team on both campuses to continue building relationships with schools and school systems throughout the country, and he’ll equip Concordia’s exemplary faculty to continue to rise to the challenge of proving Concordia a worthwhile investment for students. “We have a unique opportunity at Concordia to expose students to the Gospel message,” says Pingel. “We have to make sure that our model is worthy of the tuition price tag. Our goal is to educate students, and to do that exceptionally well, but while they’re here, expose them to the life-saving message of Jesus Christ. 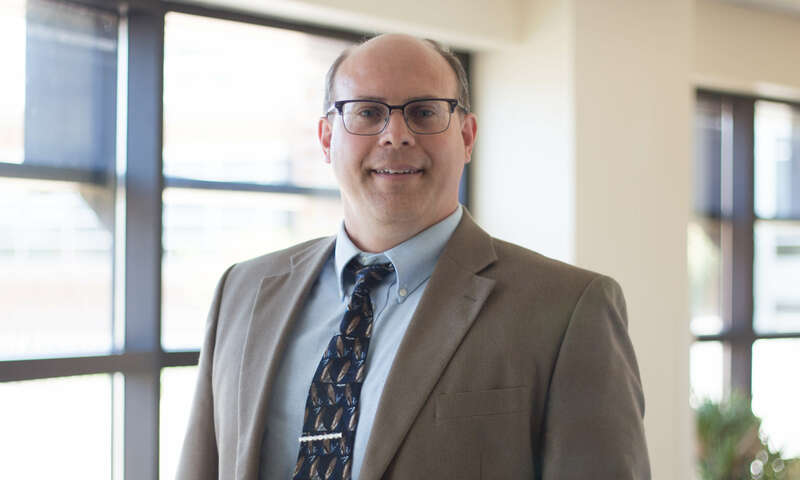 In his new position, Pingel will oversee the entirety of Concordia’s teacher-preparation offerings, including its online, center, and traditional programs offered on both its Mequon and Ann Arbor campuses. Dr. Sandra Harris, School of Education campus dean in Ann Arbor, will report to Pingel and will continue to be the on-the-ground leadership for Concordia’s Michigan campus. With over 20 undergraduate and graduate degree programs offered in traditional, online, and blended formats, Concordia’s School of Education comprises approximately 16 percent of the university’s total enrollment. It is the third-largest academic school, and approximately 15 percent of Concordia’s graduates earn education degrees annually. The School of Education is on track to add an additional degree program to its repertoire this fall – a Doctorate of Education of Leadership in Innovation and Continuous Improvement (EdD LICI). As director of graduate education, Pingel served as the faculty lead in the development of the new doctoral program. Learn more about Concordia’s School of Education here.